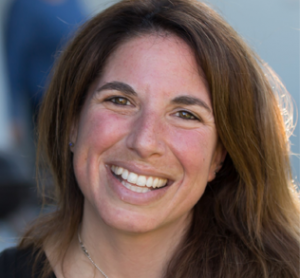 Shari Liss, Chief Executive Officer of Ignited, has been recognized by the Silicon Valley Business Journal as one of the most influential women in the Bay area. For the past two decades, Shari has served her community as an educator, entrepreneur, volunteer, and nonprofit leader. During her tenure at Ignited, she has engaged directly with over one thousand teachers from hundreds of Bay area schools. Shari’s efforts to lead and expand the fellowship program have positively impacted over one million local students. Today, Shari sees a critical need to cultivate outstanding teachers and transform the way science and math are presented in the classroom. At Ignited, she’s building a community of STEM practitioners, business leaders, elected officials, and educators who all believe that every student in every district deserves access to engaging curriculum and passionate teachers. Shari is also an active member of 100Kin10, a national coalition created in 2011 to pursue President Obama’s ambitious goal to recruit, train, and retain 100,000 exceptional STEM teachers within 10 years. As a nationally recognized expert, she has been selected as one of fifty STEM thought leaders to participate in a recent Education & Engagement Workshop hosted by the Simons Foundation in New York, and was one of ten nonprofit leaders invited to the 2015 National Education Summit at the White House. Ignited is inspiring the next generation of innovators. We are a Silicon Valley nonprofit transforming STEM education by fostering a collaborative community of business leaders, scientists, and educators. Together, we aspire to equip all students with the critical skills they need to flourish in a rapidly evolving workplace and actively participate as citizens of our nation. Ignited focuses on teachers as the primary agents to effect meaningful change within the K-16 system. Ignited Teacher Fellows are supported by industry mentors and seasoned educators to translate real-world experiences into compelling and effective classroom curriculum.